Analysist can’t seem to agree on whether we are going through a second, third, or even fourth industrial revolution. What they do agree on, though, is that the companies that emerged stronger from the first industrial revolution in the 18th century were those which embraced methods that boldly broke with the past ways of doing things. Innovation is much more about the process than the technology itself; machines are not designed to replace people (or the workhorse), but to perform their same task better and more efficiently. Automation is today bringing another revolution in warehouse management, allowing companies to keep costs down and effectiveness up. Next-generation technologies are already available for operations, whether large or small. Innovation in automation means precise, round-the-clock work flows are now possible without disruptions. Staff can be relieved of menial, repetitive tasks while pre-programmed machines take care of the warehouse space. 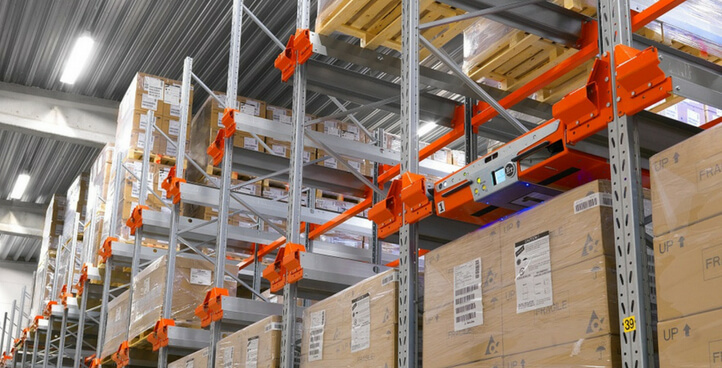 One popular exemplar are automated warehouse units such as Reflex Reach Trucks and Staxio Stacker Trucks, which are equipped with state-of-the-art lasers that make them accurate and dependable workmates. Loaded with safety features, these machines operate seamlessly in an environment meant for people as they intelligently detect any obstacle or possible hazards in their path. Moreover, automated lifters eliminate risks linked to fatigue, distraction, or inattention. The advance in technology is proving a critical disruption opportunity for organisations that want to maximise the hour-use of their warehouse floors. Smart applications trigger the action of machines to coincide harmoniously with orders, inventory software, and deliveries. The emerging revolution promises unprecedented process efficiency with perfect time management. Bring the automation revolution to your operation. Speak to the experts at Storage Systems today. Contact Us!